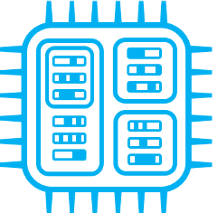 This library provides register and memory read/write and debug control capability via the ARM Debug Interface v5 Spec. NOTE: You will also need to include require 'origen_arm_debug' somewhere in your environment if your app is a plugin. The most common way to use the Arm Debugger plugin is through the Origen register API via read_register and write_register methods. It may be the case that your application needs additional, customized Access Ports (AP) which are allowed but not defined by the standard ARM Debug Interface. The following example shows how you can use the generic AP class as a starting point and add extra registers as defined by your specific implementation. # Add example registers associated with CustomAP.